In October 2011, NetroMedia travelled to Istanbul to bring anytime, anywhere streaming to the Turkish market. The country, a gateway between East and West, is poised to be an ICT powerhouse. NetroMedia participated in Istanbul’s ICT Summit Eurasia, which brought together 4000 ICT professionals and 224 speakers from around the globe. Keynote speakers reinforced our vision that content needs to be available anytime, anywhere on any device. » We agree with this vision 100%. That’s why we offer an efficient mobile streaming solution. Serpil Timuray of Vodafone quoted a report saying that 15 million users will have tablets by 2015. » Good thing NetroMedia can keep you ahead of the game with the ability to stream to any device – including every type of tablet! Social Researcher Michael McQueen discussed the characteristics of Generation Y – a large demographic in Eurasia. The predominate platforms Generation Y uses to conduct their business and access media are mobile devices. This is reinforced by comScore’s findings that 54.7% of tablet owners are between the ages of 25 and 34. » We are well-positioned for that future! NetroMedia enables you to stream content to any device with a single stream. NetroMedia also participated in the conference of Canadian and Turkish business leaders organized by The Ontario Ministry of Economic Development and Trade in partnership with the Canadian Consulate in Istanbul and the Foreign Economic Relations Board of Turkey (DEIK). NetroMedia CEO, Che Pinkerton, addressed Turkish business leaders at the conference and shared his expertise on a variety of new global trends and innovations in the industry. Topics included new developments and opportunities in streaming content distribution, including live events, live streaming to mobile, as well as licensing opportunities for telecommunications firms. Attracting over 130,000 visitors from countries all over the world, CeBIT plays host to professionals, scientists, managers and technology fans alike. 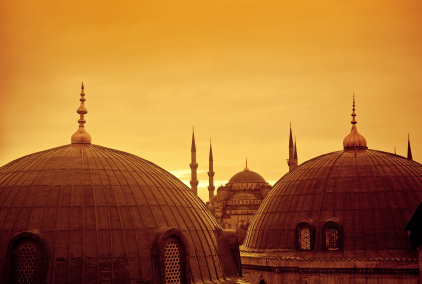 NetroMedia travelled to Istanbul to showcase how to easily broadcast content to any device. After outgrowing its European origins in Hannover, Germany, CeBIT expanded to a second fair held in Istanbul, Turkey and is considered by many to be “the meeting point of the ICT industry”. Showcasing rapid development taking place across the industry, the annual show encompasses the entire spectrum of information technology, software and ICT-related services. At CeBIT Eurasia Bilisim 2011 we demonstrated how easily we can stream content to any device. Our innovative mobile streaming solutions enable you to broadcast to all devices with a single stream, which significantly reduces your infrastructure and resource requirements.